GM's Oshawa plant will do some final assembly on Chevy Silverados. Unifor is negotiating with Ford on a contract patterned on recently ratified agreements with General Motors and Fiat Chrysler. Here are highlights of those agreements. 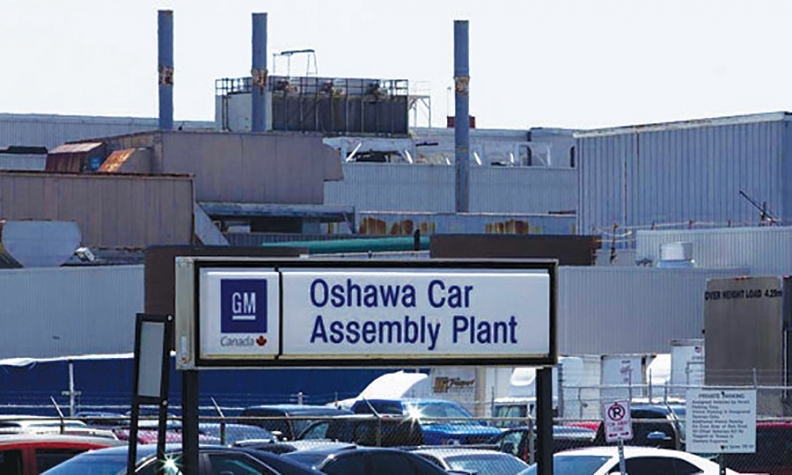 Investments: GM committed to invest $554 million Canadian ($424 million) in its Oshawa assembly plant, which was in danger of closing after 2019. FCA pledged to invest $325 million Canadian ($245 million) in its Brampton Assembly Plant's aging paint shop. Smaller investments also are planned for GM's St. Catharines Powertrain plant and FCA's Etobicoke Casting Plant in Toronto. New products: The Oshawa plant will do final assembly on Chevrolet Silverados from GM's Fort Wayne, Ind., plant. FCA says it could assign new-vehicle production to Brampton by 2020 if certain market conditions are met and if the Canadian government provides sufficient support. Wages/bonuses: GM and FCA workers each will receive a $6,000 Canadian ($4,500) signing bonus. Veteran workers also get three $2,000 Canadian ($1,500) lump-sum payments plus two 2 percent pay increases over the life of the contracts. New hires will remain on a 10-year grow-in period to full pay but now will receive pay increases each year. Pensions: New hires will be put on a defined-contribution benefit plan. Workers will be required to contribute 4% of their earnings to the plan, which the automakers will match. Next up: Unifor and Ford are negotiating against an Oct. 31 strike deadline. The union's top priority is securing investments at Ford's two engine plants in Windsor, Ontario. Dias: Unifor reached its objectives and expects the same with Ford. The roughly $900 million in investment commitments that Unifor has secured from the Detroit Three thus far might not be enough to fully reverse the long-term trend of auto manufacturing jobs leaving Canada, labour experts say. Tony Faria, co-director of automotive and vehicle research at the University of Windsor in Ontario, said that while the union has done "an exceptional job" in securing existing jobs at General Motors and Fiat Chrysler, the contracts they forged fall short of making the country as a whole more attractive to automakers. "It's certainly good that we won't see the closing of yet another plant in Canada, but I don't think there's anything to suggest these contracts or investments point to a turnaround," Faria said. "I don't think the Detroit Three in any way are going to build a new factory in Canada, and I don't think we're going to see new facilities out of Toyota or Honda in Canada." Canada has lost about 53,000 auto jobs since 2001, according to a 2015 report by the Automotive Policy Research Centre in Ontario. Among the reasons: a post-bankruptcy consolidation of production, Ontario's high energy costs and the rapid growth of Mexico as a North American production and export base. 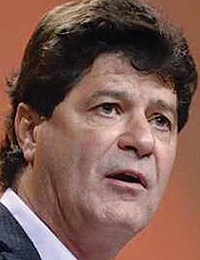 Unifor President Jerry Dias has framed this round of negotiations with the Detroit Three as a pivotal moment. "Things are starting to change in a significant way in this country," he said this month when announcing a then-tentative contract with FCA. Unifor's leadership sees the investment commitments -- along with federal and provincial governments that appear more amenable to giving incentives -- as potentially sparking a turnaround in Canada. "When you're competing in a world where jurisdictions at times are paying 100 percent of the capital costs of assembly plants, we also have to bring something to the table in terms of incentives," Brad Duguid, Ontario minister of economic development, told Automotive News Canada this month. But Kristin Dziczek, director of the Industry, Labor and Economics Group at the Center for Automotive Research in Ann Arbor, Mich., said it's too soon to tell whether the investments constitute the beginning of a reversal and whether they'll be enough to counteract global economic trends. "There were three critical investments that Unifor had to pay attention to," Dziczek said, citing GM's Oshawa assembly plant, FCA's Brampton Assembly Plant and Ford's Windsor engine plants. "Securing investments in those plants is a good thing, but we don't know if it's a turnaround yet." Unifor is negotiating with Ford Motor Co. on a tentative deal patterned off its finished contracts with GM and FCA, which also include a pair of two-per-cent pay raises for veteran workers, pay increases for new workers and a defined-contribution plan for new hires. Unifor has set a deadline of 11:59 p.m. Oct. 31 to hammer out a deal. "In each round of our negotiations, the union has set clear objectives, and so far we have reached these, including our top priority to secure investment and defend good jobs in local communities," Dias said in a statement last week. "With Ford, our union will expect nothing less." Unifor is pressing Ford for commitments at its Windsor plants, which build engines for the Ford F-150 and Mustang, among other vehicles. But Faria said it's not clear whether Ford has a product it can move into Windsor. "If Ford wants a contract, they're going to have to come up with something, but whether it's something that provides long-term life to both plants or something makeshift is the question," Faria said. During negotiations with GM and FCA, Unifor secured a $554-million commitment to GM's Oshawa plant, which had no product slated for it beyond 2019, and $325 million to FCA's Brampton plant, which has an aging paint shop. The Oshawa plant will continue to produce the Cadillac XTS and Chevrolet Impala, but its beleaguered consolidated line will shut down. The GM contract also includes a commitment to do final assembly on some Chevrolet Silverado pickups from Fort Wayne, Ind. Faria said that will save jobs in Oshawa, but it might be a "makeshift" arrangement at best. "I can't see that moving pickups to Oshawa from Indiana and then shipping most of them back to the U.S. for sale is a long-term solution to anything," Faria said.